EMERYVILLE, Calif. – Dozens of pickets celebrated the Lunar New Year Feb. 16 with a lively, noisy demonstration at Emeryville’s Oaks Corner restaurant, bar and casino. 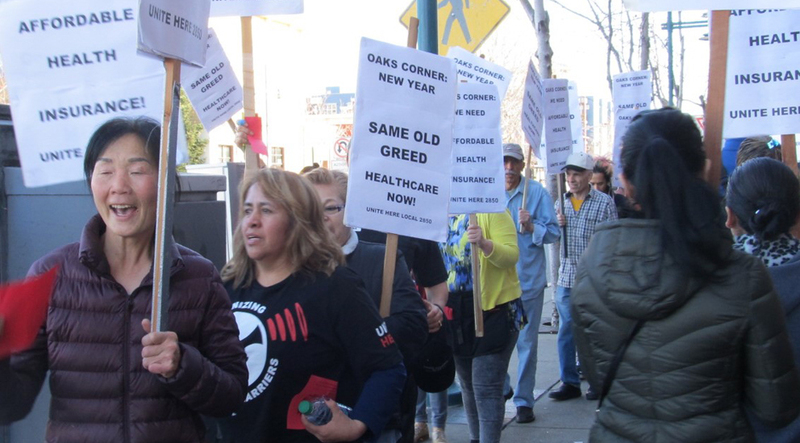 Their message: “Oaks Corner: We need affordable health insurance,” drew constant honks of support from the traffic flowing by on a busy thoroughfare that links communities in the East Bay, across the bay from San Francisco. The Oaks Corner workers, who are represented by Unite Here Local 2850, were joined by Local 2850 members from other workplaces, and by sisters and brothers from other unions as well as community supporters. Among the pickets was Julio Xilog, who has been a fulltime cook at Oaks Corner for five years. Julio, who earns $15.45 an hour – a little more than Emeryville’s minimum wage – said he must pay $520 per month for health insurance covering his family. He works an 8-hour shift at the club, starting early each morning, and then goes to another fulltime job, as he and his family struggle to cope with the area’s soaring living costs. Rapidly rising apartment rents have forced the family to move much farther away from his job, but even so, rent costs them $2,200 each month. Local 2850’s president, Wei-Ling Huber, was also on the line. 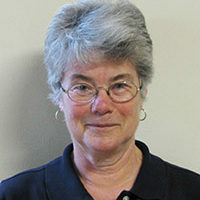 She pointed to the contrast between the way Oaks Corner’s owner – whose business is among the most profitable in Emeryville – treats workers there, and the treatment of the largely unionized workers at casinos in rural northern California. Owners there, who often pay the state minimum wage of $11 an hour, and whose workers don’t face the same high costs of living the Emeryville workers experience, are providing health coverage that’s much more affordable. Huber said the Oaks Corner workers have been without a contract since July 31, 2017. Workers there have faced tough struggles before. 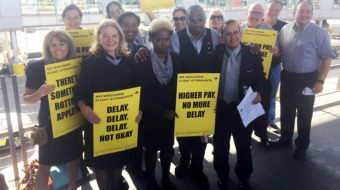 When they mounted a similar picket line in 2015, they had been without a contract for two and a half years, and hadn’t had a pay raise in eight years.